It's officially spring! The sun is shining, the birds are chirping, and gendered nouns are still basically the worst. After being bumped last week, MaggiePye is back at the top of our leaderboard this week! 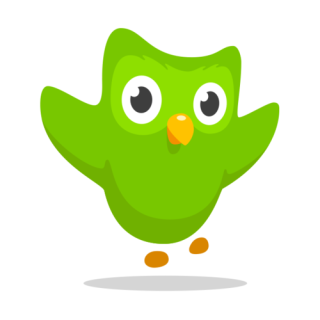 As usual: If you're interested in participating, just follow me (MPFBonnet) on Duolingo and/or leave your username in the comments so that I can follow you. If you aren't participating but your name is on this list, please let me know and I'll take you off. And our zero-pointers this week: DelfiGax, edithgrove, ItEatsYourBottom, Sa2vador, ScarlettODahling, boobiechick, CamillaPB23, rainbowbrighteye, Patlisaurus, seekingdesigns, Kir138599, itscalledadairy, singsyoursong, rjc_londres, gertbadger, Halfeclipse, HappyGinnyBerry, ShinyItemp, Georgia2681, FoilyDoily, LanguageSparrow, Iaurhirwen, klewless, Couchplanted, CobaltSeaGlass, slickmillie, Erudita_Vanitas, QuietYouTrash, zhandi1, jetpantsplease, NikkiDix, Snax2, Toucanfrog, story645, MadamePL, PolllyJenna, CajunGinger, lurkerbynature, NillaW, lawlover, la_cee, Lexa49, Tam_Tams, LemonadeLover, DaisyChainLink, NotAnEggplant, LadyGrSl, ROCHELLEx2, ShinyRedRobotGT, NightmarePizza1, hedgehogging, Hooterific, quashit, xeos6, alaiyokoan, Melidomi, Opalsarebest, fireheadgirl, HandBanana1, FallingGT, MitsubiShe, McConaissa, Screechymi, Labtheque, piggywillow, KDBathroomPass, skittish1, la.woman, totbitchpudding, Woobie1, NotBadfora, abayaespanol, RicardoAmanueces, Issiyo, ThatCutieCarly, Lisa.Elizabeth, callshannanigans, exkette, sren2015, Laania42, AgadorSpartacus, LttlMsSnshn, avisatra, rackelroo, rachel.dir, LaChategris, AIHIStatic, namechanged, Luckykittah, BetterLateLirael, Pyrax, YellowBird2, ISpeakJive, rachclaire, DomesticDork, BeakerC, and MPFBonnet.